At 2-2, the Washington Redskins are currently in a three-way tie with the New York Giants and the Dallas Cowboys for first place in the NFC East, and they’re on the verge of getting a huge offensive weapon back. DeSean Jackson returned to practice this week for the first time since leaving the Redskins’ season opener against the Dolphins with a hamstring injury. Head coach Jay Gruden expressed hope on Monday that Jackson would be able to get on the field and, sure enough, he was out there on Tuesday. “We’ll try to get a little bit more out of him this week, see what he can do,” Gruden said, per the Washington Post. All that said, the team will continue to monitor the injury, and it’s far from a sure thing that the former Eagle will play this week. If he did play against the Falcons, Jackson would have missed three weeks, which is right in step with the 3-4 week timetable he was given after he suffered the injury on Sept. 13. 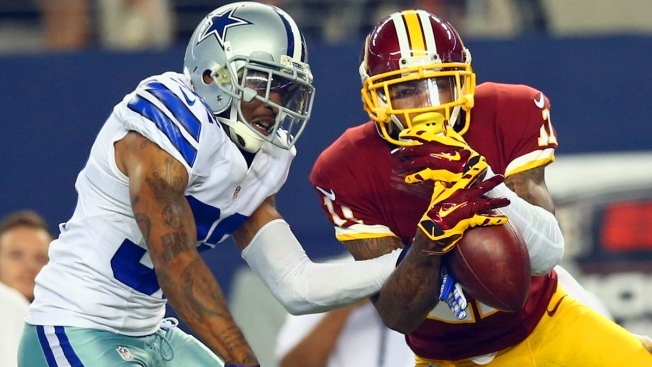 The Cowboys don’t play the Redskins until Dec. 7, and then they play them twice in a five-week span.